A newly launched update to Cirrus Aircraft’s Vision Jet single-engine personal aircraft features improvements to the passenger experience, cruise altitude, speed, range and flight deck. Cabin upgrades on the G2 include new executive seats, a passenger productivity console and newly developed noise reduction features. The new executive seating configuration features two artisan-crafted second-row seats and a new center console with stowaway tables. 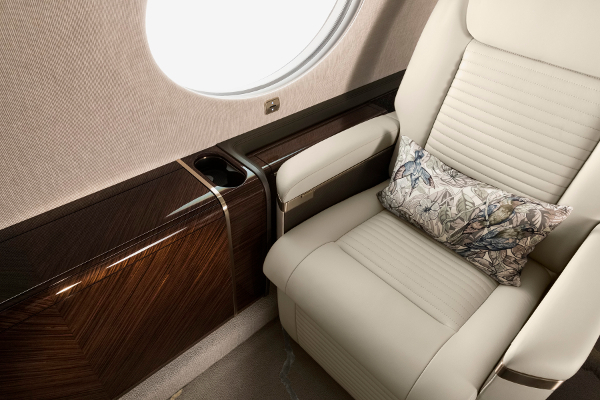 Passengers have access to USB and 110V power outlets, as well as a video monitor that extends from its flush-mount overhead to deliver a range of display and entertainment options from passengers’ devices. While the family seating configuration offers room for five adults and two children, each cabin seat is modular and can be repositioned or removed by the pilot, enabling more than 25 seating configurations. The jet’s flight envelope has expanded to Flight Level 310 (31,000ft). This new access to Reduced Vertical Separation Minimum (RVSM) flight levels increases the jet’s range to more than 1,200 nautical miles. On a typical mission, the G2 provides increased flexibility to carry an additional 150 lb (68kg) on an 800-nautical-mile mission and pushes top cruise speed further above 300kts. The G2 Vision Jet introduces Garmin’s Perspective Touch+ advanced flight deck, with new hardware, faster processing speeds and greater screen resolution. Meanwhile, the auto-throttle integrates with the autopilot and can automatically adjust the aircraft’s speed for each phase of flight. New Flight Stream capabilities are designed to simplify the pilot’s experience by creating connectivity between personal mobile devices and the flight deck – enabling wireless enhancements including flight plan transfers, database updates and text messaging. The flight deck also benefits from 3D Synthetic Vision, SurfaceWatchT, integrated crew alerting, datalink weather, active weather radar, ADS-B, satellite communications, system synoptics, and more. Upgraded intelligent batteries from True Blue Power deliver improved cold start capabilities. The original Vision Jet received FAA certification in 2016. 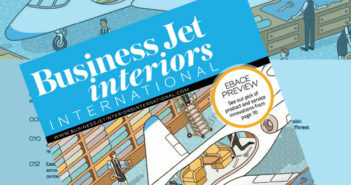 G2 Vision Jets begin delivering in January 2019.